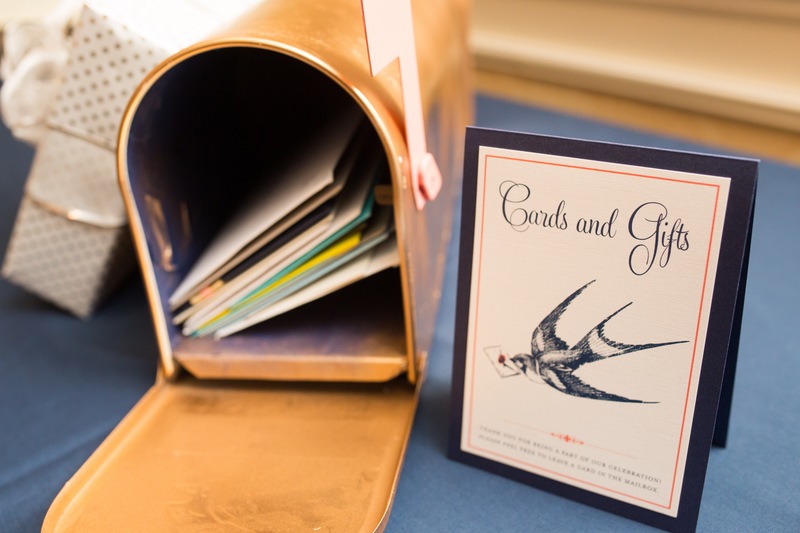 Did you know we do more than just wedding invitations? 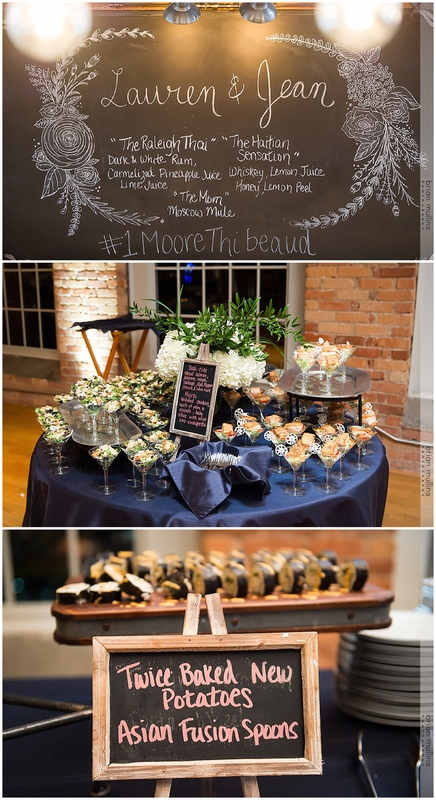 We can create designs for any event or occasion you have a need for! Below you’ll see an example of invitations and programs we created for a Bar Mitzvah! 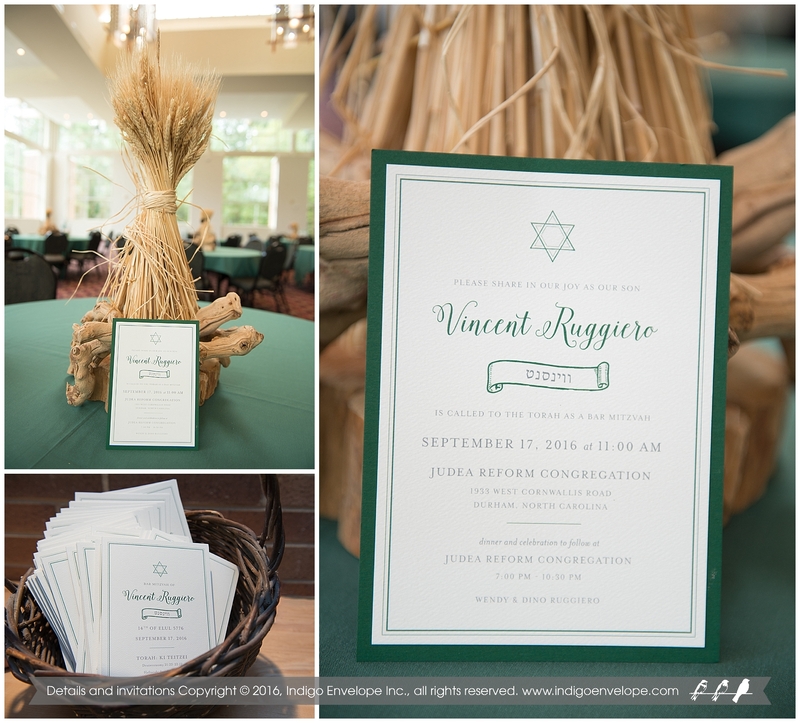 This invitation suite features a kelly green backing card that was perfect for this event. 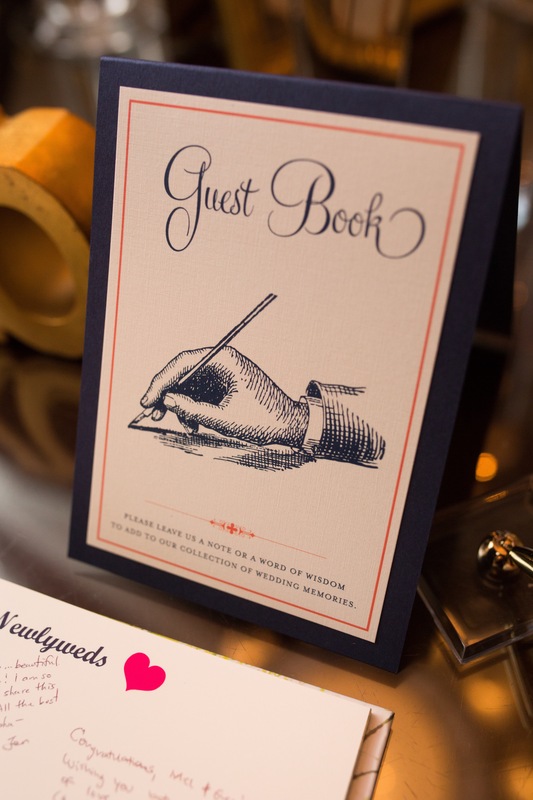 The programs follow the theme continuing the colors and fonts used on the invitation. We just love how they set these up at the venue! We were lucky to meet this sweet couple at Engagement for the Engaged, an event where engaged couples can meet with many wedding vendors under one roof. 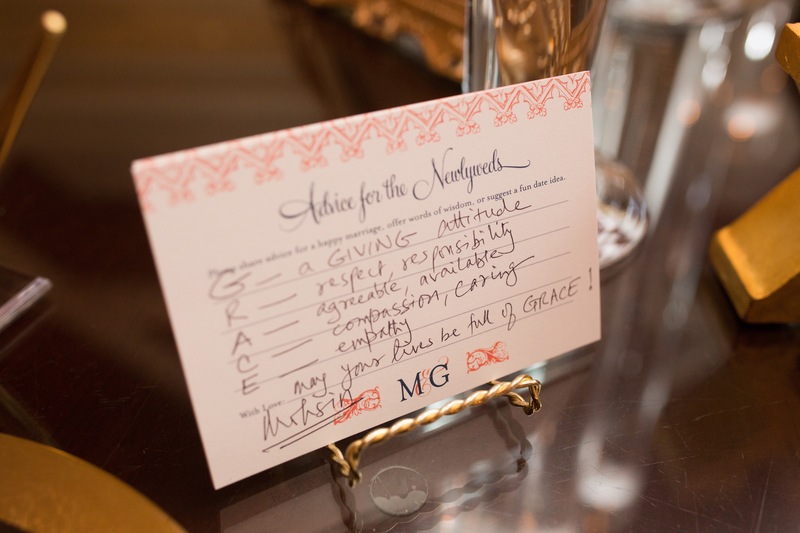 Their sense of humor was charming and infectious, and that playfulness carried through their design, including a custom monogrammed wedding invitation. 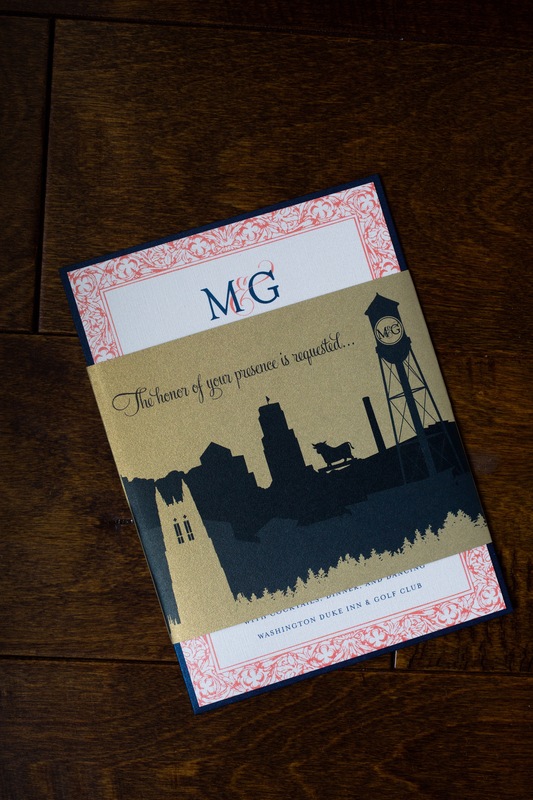 Lawren and Jean’s design features a custom envelope liner map as a nod to their family being from all over. 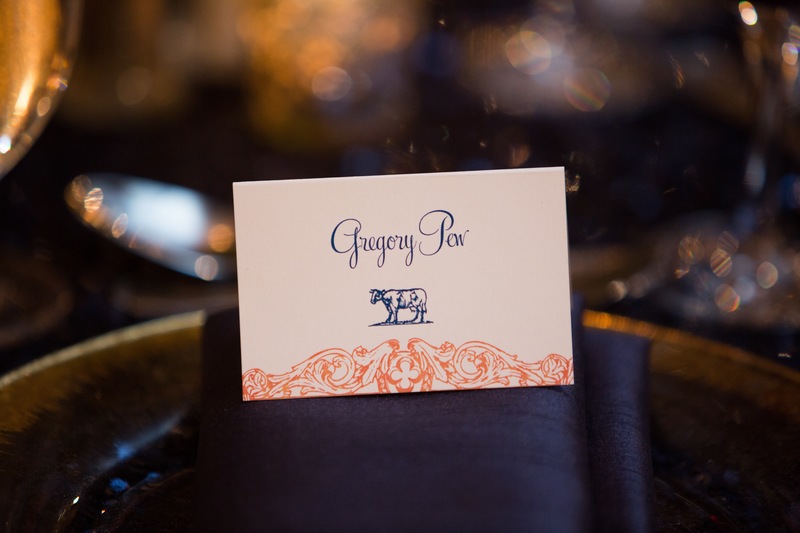 A monogram of their initials takes center stage on the main invitation. Their colors of navy and blush are balanced between formal and traditional, with softness and subtle color. A classic script font and border flourishes add a lighthearted elegant touch, while metallic accents bring the “wow” factor. 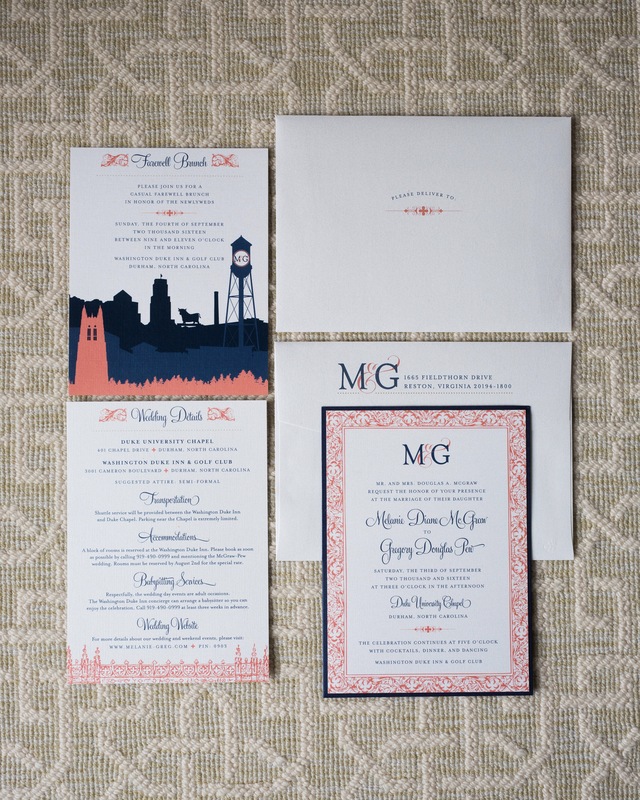 We had the pleasure of working with Melanie and Greg, a couple who wanted to celebrate their connections to Durham, NC, and Washington, DC, as well as their historic wedding venue at Duke Chapel in Durham. 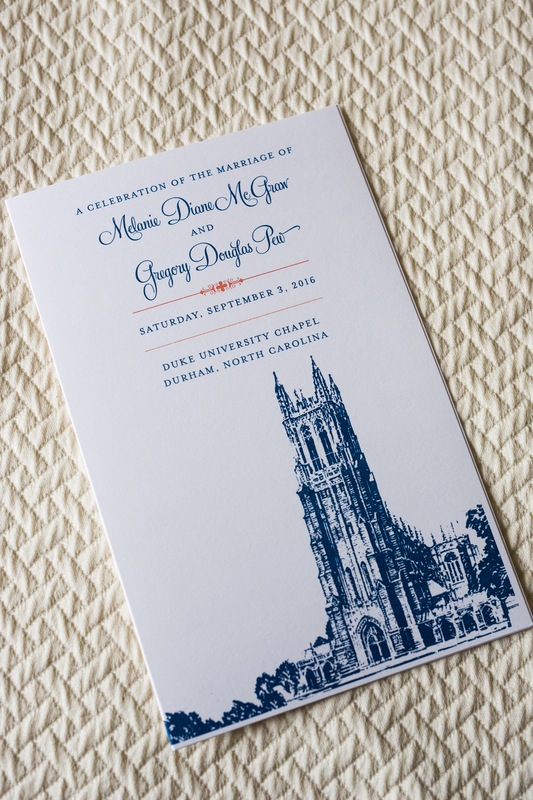 For Melanie and Greg’s wedding, we created a vintage inspired design that drew on the stone work at Duke Chapel for inspiration, including some original drawings based off the carved cathedral. 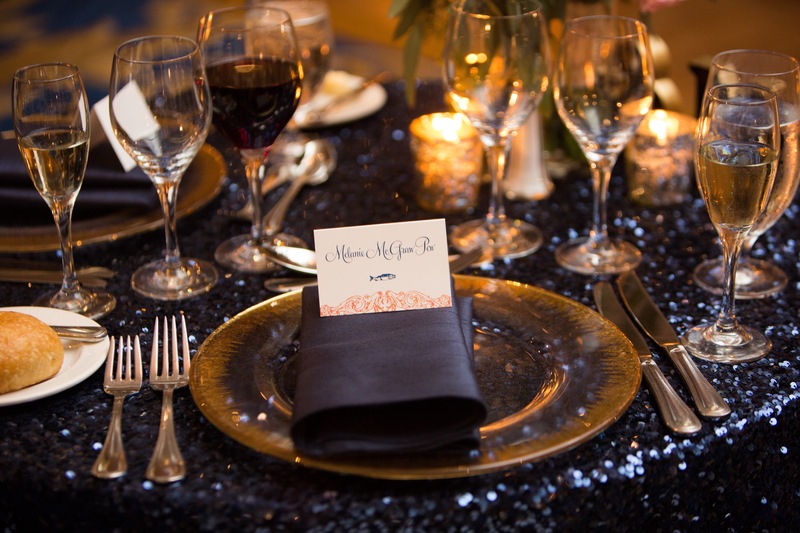 Pieces also included skylines, a custom monogram, and a balance between traditional and modern elements. A popular wedding venue here in Durham is Duke Chapel, and if you’ve ever seen it you know why. It’s English style neo-Gothic architecture makes for a picture-perfect scene. 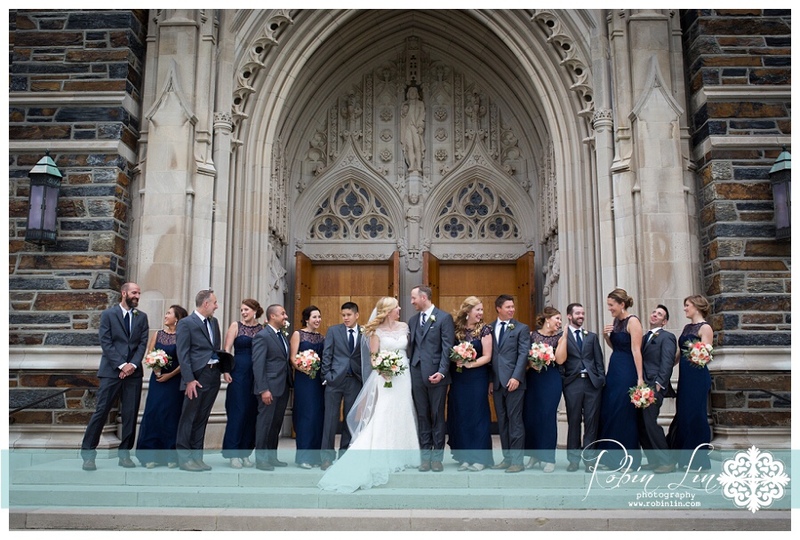 We always love seeing the photos for a Duke Chapel Wedding, as they always feel so timeless. For Mary Pat and Jonathan’s design, we created an original postcard inspired Save the Date, using vintage images from historic postcards. 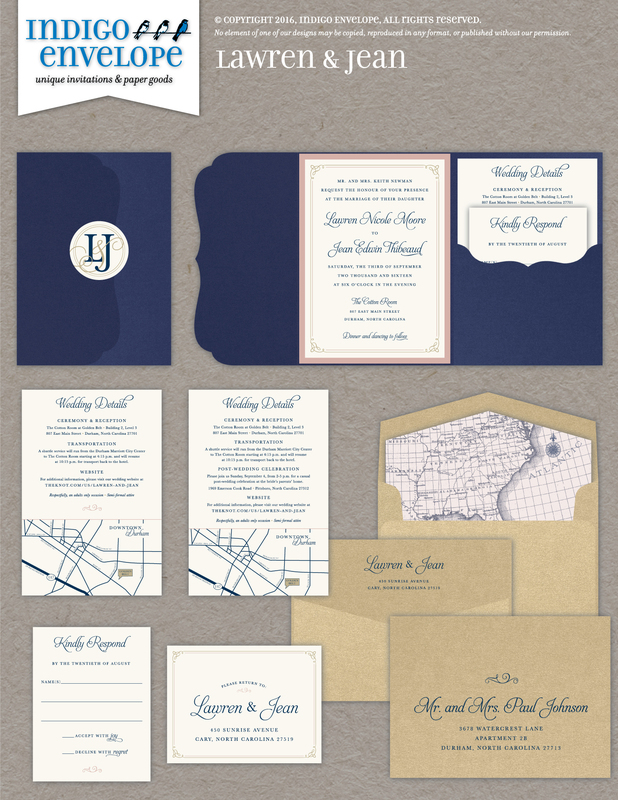 We also created an invitation suite in navy and blush, which have been extremely popular colors over the past year. The navy is formal and traditional, and the blush/champagne tones are neutral but add softness and subtle color. 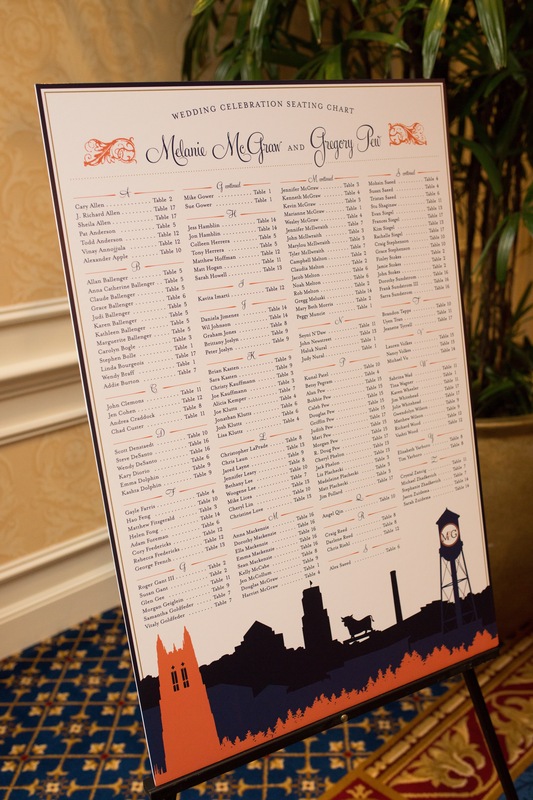 A beautiful digital calligraphy font, hand-drawn flourishes, and a custom map were other focal points of the design. Congratulations Mary Pat & Johnathan!